Remember that amazing Texas Centennial commemorative half we featured last week? Also – based on the feedback we received on the original silver coin, I launched an all-out search to find more of them. SCORE! We’ve uncovered a sensational, bright white MS68. The coin is truly exceptional! Reminder: we’re getting ready to launch a separate newsletter for folks who are interested in being offered high end rarities ($10,000 and up). If you would like to join our High Roller Club, please email me and I’ll be happy to add you to the list. If there are particular areas of interest, or specific coins you’re after, please include that info too. Thanks! 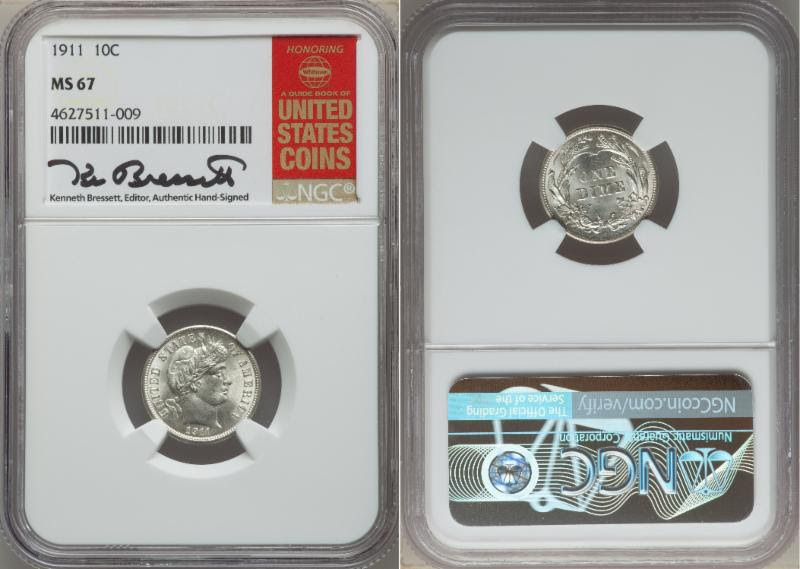 This week’s rare certified coin specials feature three drop dead gorgeous dimes – a flashy 1875 Seated Dime in an old NGC holder (MS66! 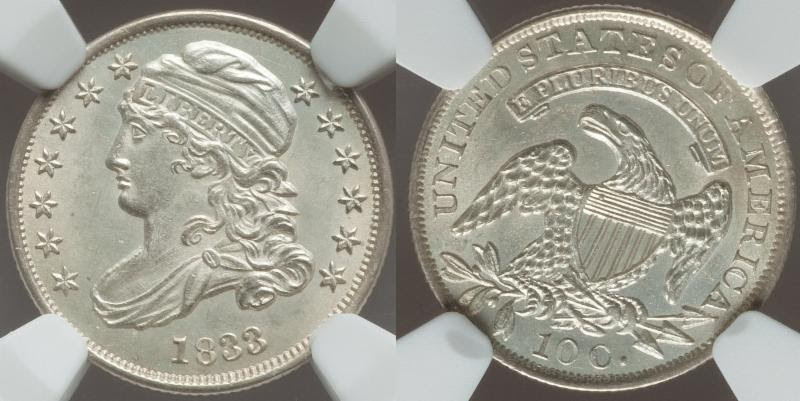 ), a bright white 1911 Barber Dime and a great looking 1833 Bust Dime. 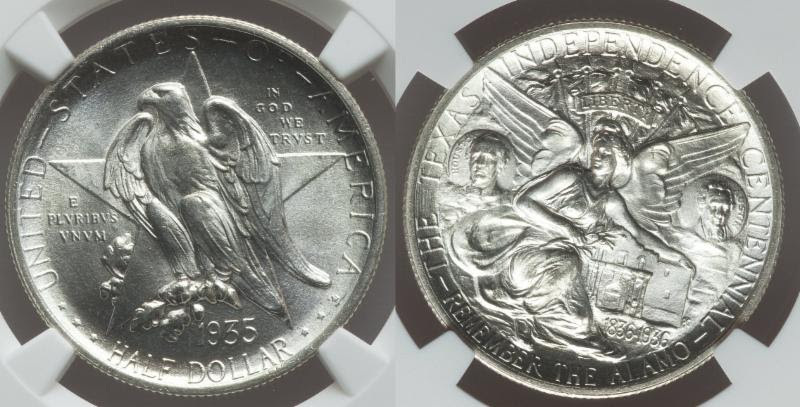 Then there’s that incredible MS68 1935 Texas Centennial commemorative half dollar. Another relatively flat week, with prices down just a tick. Thanks for reading! We appreciate it. Wishing you and yours a terrific weekend! I was so intrigued by the Texas Centennial Commemorative silver coin from last week that I started doing more research on the coin. I was aware that there were silver rounds using the iconic design, but I discovered that they are also made in copper. Then, I noticed that copper is up 14% so far this year. Well… sounds like a nice little gamble. For your consideration, here are this week’s cherry picked, well-below-price-guide, outstanding-eye-appeal, certified treasures. Please remember that we’re trying to keep these offerings below $10,000 for now, while offering the higher end coins in our new upcoming High Roller Club newsletter. To join, just reply to this email and ask to subscribe. Simple as that. 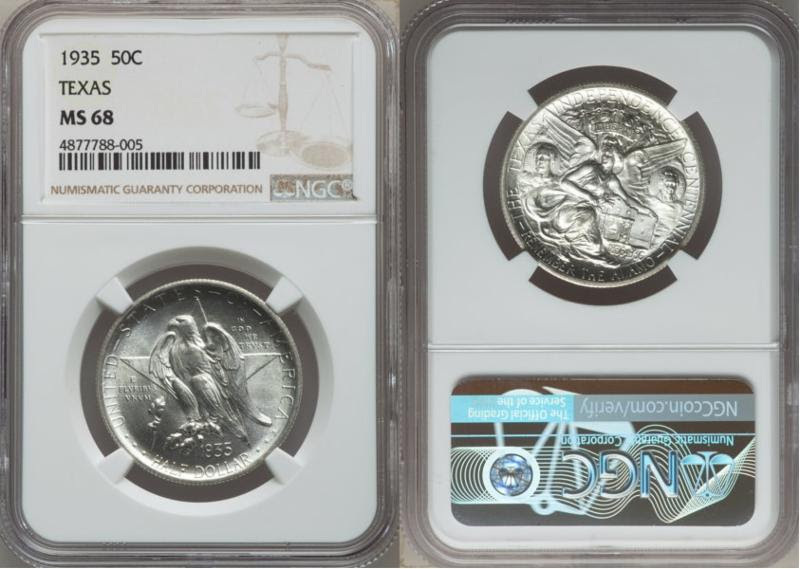 NGC has only graded 38 of these at MS66, with only nine higher (they’re $5,850). 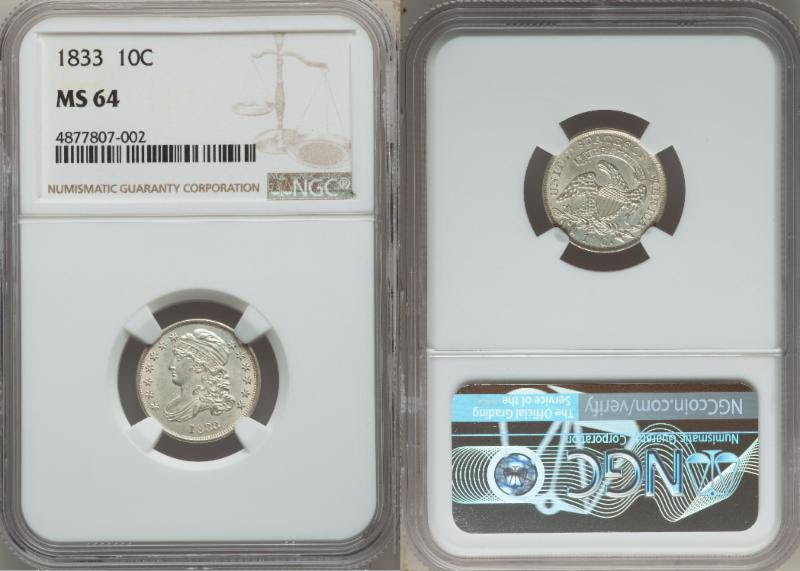 NGC has only ever graded 11 coins as high as this MS67, with only 2 graded higher. A lovely Early Dime example. This design (“Bust Dime”), was minted from 1809-1837. She’s an absolute beauty. NGC price guide is $3,210. Your price is only $3,750 – HALF of PRICE GUIDE! Last minute acquisition (pardon the quick cell phone image) – SHIPWRECK GOLD. 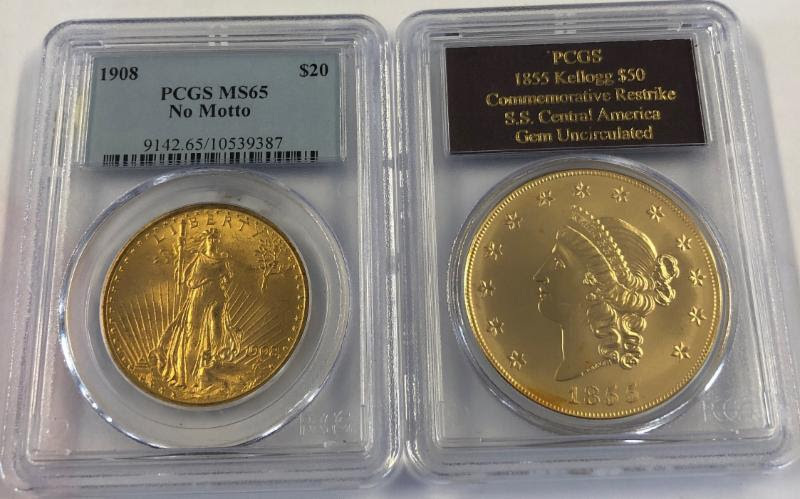 We just bought this huge hunk o’ gold – a restrike of the storied 1855 Kellogg $50 gold piece – produced from gold ingots recovered from the S.S. Central America. The restrikes were produced by the California Historical Society in San Francisco in 2001. This coin contains 2.41 oz of gold and is certified by PCGS as Gem Uncirculated. 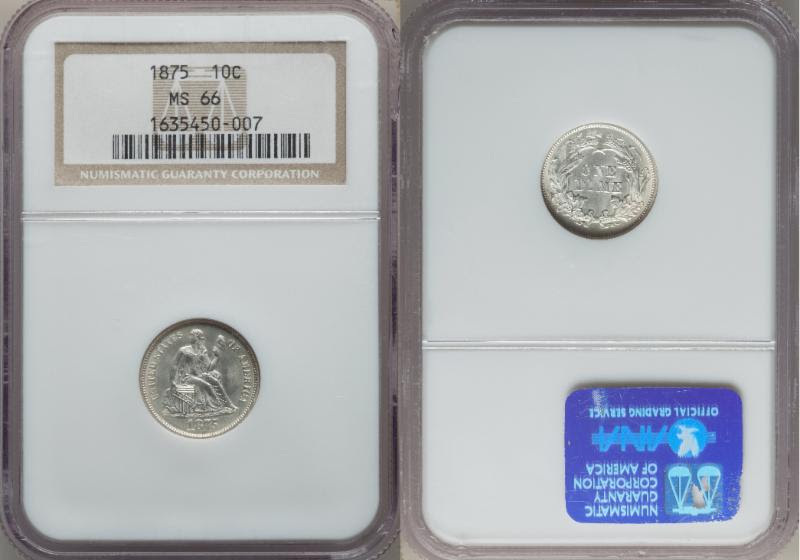 Coin featured (the 1855 Kellogg restrike) is on the right in the image*. * The 1908 No Motto MS65 Saint-Gaudens (on the left in the image) is shown to illustrate just how big the commem is. I’m seeing ’08 NM Saints online today for $2,034 – $2.047. We’ll sell this exact 1908 MS65 No Motto Saint for $1,939. Only 3 left (maybe anywhere in retail world). For a few brief years earlier in this decade, the US Mint struck Silver Eagles at the San Francisco Mint. 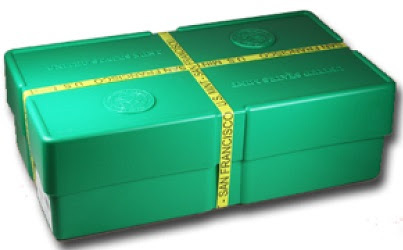 Due to their very low mintage, these SF coins always carried a slightly higher premium and, as time goes by, with fewer and fewer sealed boxes on the market, premiums have risen quite a bit. I can only find ONE sealed box available online today and it is going for spot +5.79/oz. Let’s beat that price by $1,400! While supply lasts! Only 3 available. Call Joel now for similarly great deals on other sealed back date Silver Eagles boxes. Thanks. Here’s a great opportunity to amass US gold at a very low premium. 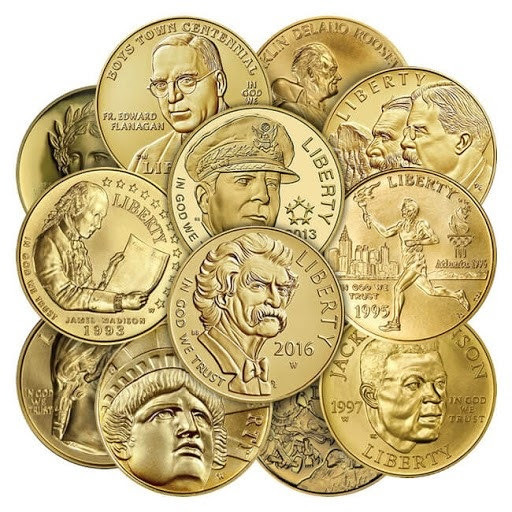 We have a couple of hundred $5 US Commemorative gold coins available. The coins have the same gold content as pre-1993 $5 Half Eagles, just shy of a 1/4 oz. (.2354 oz). The great news is that they are $110 per oz less than new 1/4 oz Gold Eagles. Coins will be in capsules or flips, with design(s)/year(s) of our choice. Buy 4 – 9 coins for only spot +14.99/coin ($327.20 per coin).